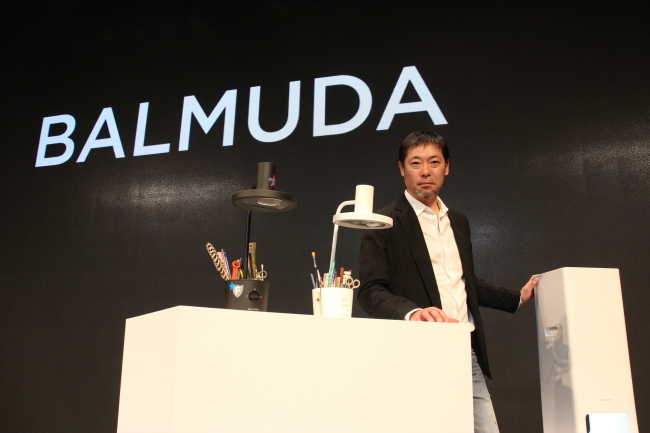 Japanese premium home appliances company Balmuda’s CEO Gen Terao unveiled its new air purifier Balmuda The Pure in Seoul on Tuesday, highlighting the importance of the Korean market and downplaying what he called “copycats” from China. 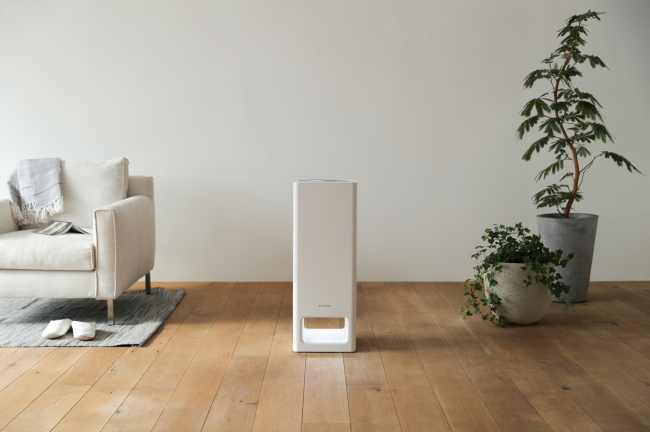 The Pure is a new addition to the firm’s 2013 AirEngine purifier lineup, which, alongside Balmuda The Toaster, has garnered positive responses in Korea. “We have no set date for Japan launch,” said Gen, emphasizing the importance of the Korean market to the company. Korea was the first foreign market Balmuda ventured into in 2012. Sales in Korea accounted for 27 percent of the firm’s worldwide sales in 2018 -- 10 times that in Japan. The decision to launch The Pure first in Korea reflects diminishing demand for air purifiers on Balmuda’s home turf, in contrast to growing interest in Korea due to fine dust problems, according to Gen.
During the launch event, Gen downplayed competition from Chinse manufacturers, which he said are quick to produce similar products at budget prices, as was the case for Balmuda’s previous purifier model, AirEngine. “When other firms copy Balmuda’s products, I am happy for two reasons. One, because we have made something so good that others want to follow our track. Second, because our copycats prove themselves unworthy as our creative competitor,” Gen said. The Pure uses rectifier jet engine technology that powerfully ejects air in a vertical direction. The air spreads upon hitting the ceiling, forcefully circulating static air flow in a confined space. The Pure purifies 7,000 liters of air in a minute over a surface area equivalent to six soccer fields. The Pure’s TrueHEPA filter catches 99.97 percent of 0.3-micron dust, while its carbon-deodorizing filter eliminates unpleasant odors. The white, square pillar design is intentionally simple so as not to draw attention or clutter a house. Since founding Balmuda in 2003, the rock musician-turned tech entrepreneur has seen the company’s sales grow by 1,850 times in 15 years. In 2017, Balmuda recorded sales of 8.9 billion Japanese yen ($80,500). Gen predicts sales will grow by another 1,850 times by 2032. Balmuda The Pure will be available for purchase in Korea starting Wednesday at 749,000 won ($666).